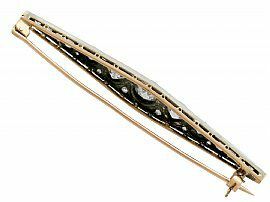 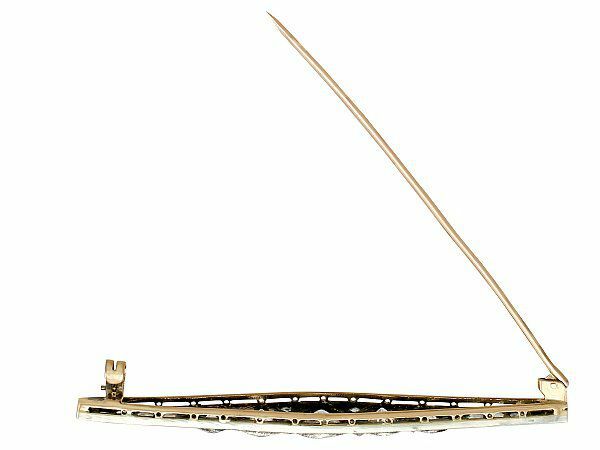 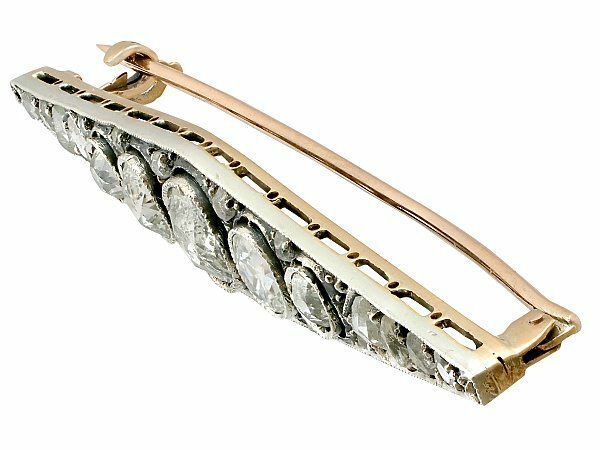 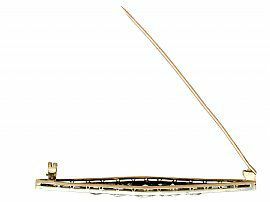 This fine antique Victorian bar brooch has been crafted in 9 ct yellow gold with a silver setting. 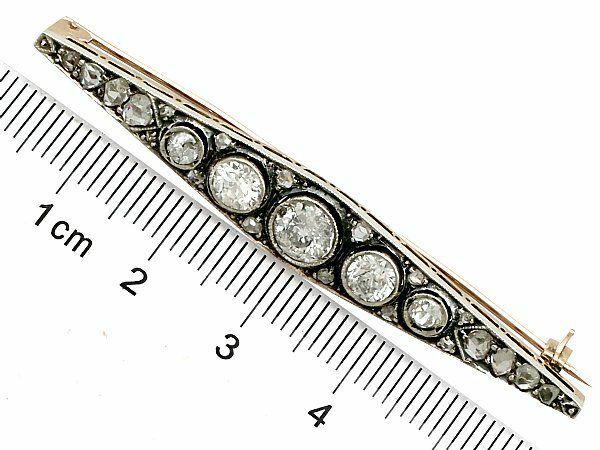 The pierced decorated, silver set frame has a symmetrical form, featuring five, individually collet set, Old European round cut diamonds graduating in size from the centre. 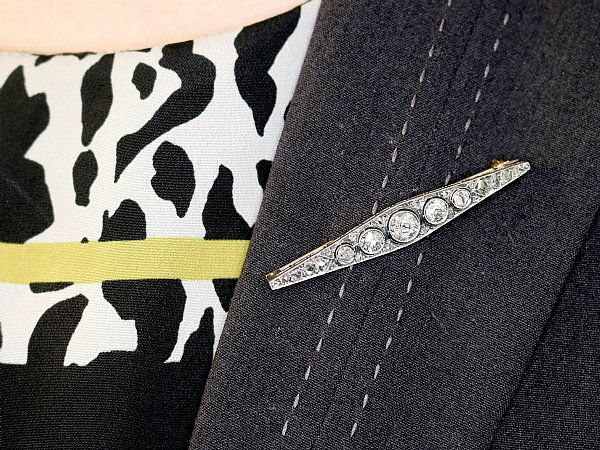 The brooch is further embellished with eight Dutch cut diamonds, graduating in size, towards each end of the design. 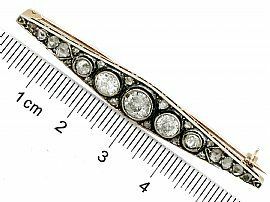 A further twelve smaller Dutch cut diamonds accent the upper and lower borders, set between the feature diamonds. 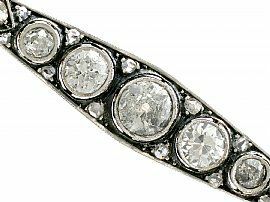 This fine brooch secures to the reverse with a hinged pin and safety catch. 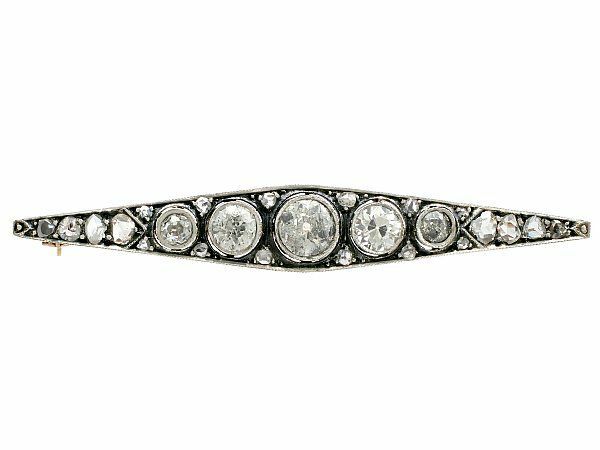 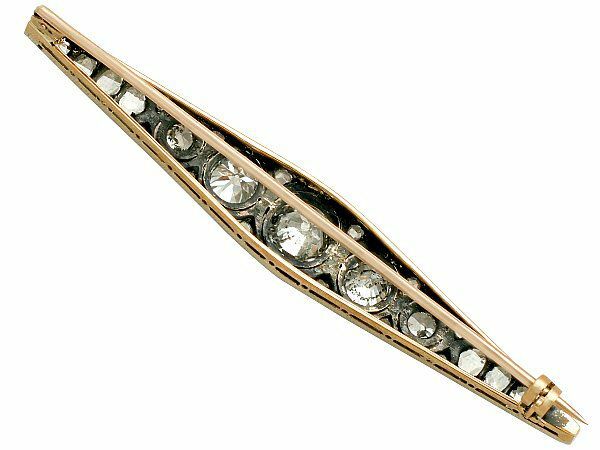 The Victorian bar brooch is supplied with an independent diamond grading report card. This 1880s brooch has been independently tested using state of the art technology (Niton XL2 Analyzer) and verified as 9 ct gold. This antique brooch is fine quality, set with very high colour graded, old cut diamonds. Although some of the diamonds are pique (P1) grade, they are a fine white colour and all original. 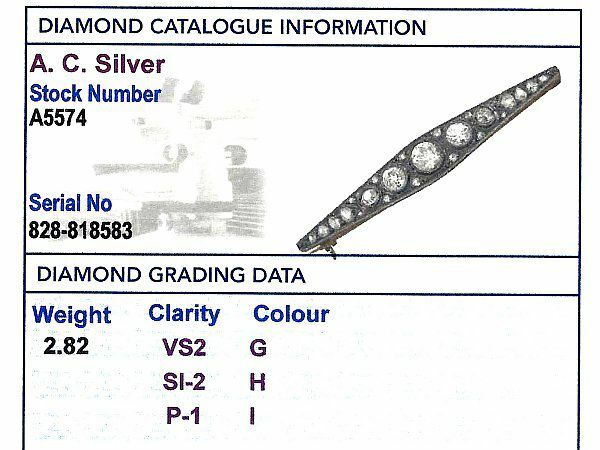 The diamonds have been professionally cleaned. 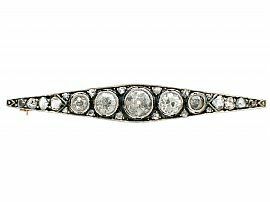 The silver setting to the anterior face has however been left uncleaned, proffering a fine antique look; if required however it can be cleaned for a brighter look.